SUGAR SALON HAS BEEN A STYLE ICON IN DOWNTOWN HELENA FOR 10+ YEARS, AND IS ONE OF TWO REGISTERED BUMBLE AND BUMBLE SALONS IN MONTANA. 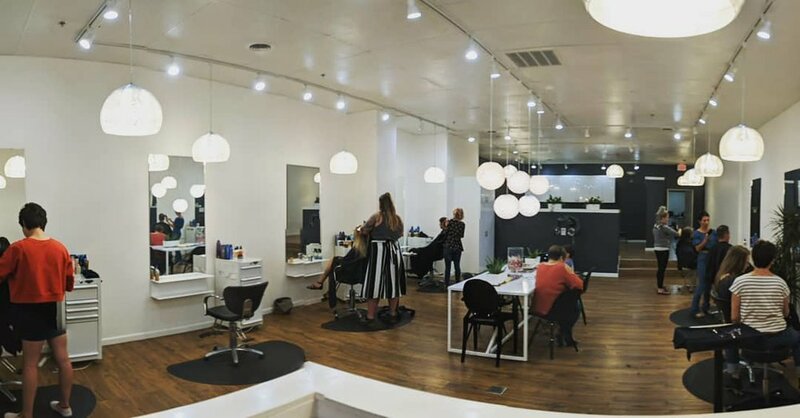 AT SUGAR WE VALUE CONTINUING EDUCATION SO WE REGULARLY SEND OUR STYLISTS TO THE HOUSE OF BUMBLE IN NEW YORK CITY TO TAKE THE LATEST CLASSES IN TECHNIQUE AND DESIGN. 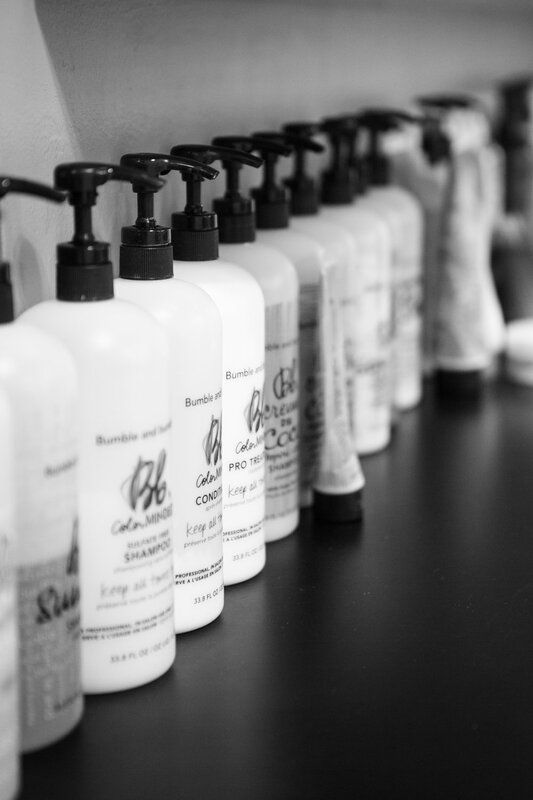 SUGAR STYLISTS WORK WITH THEIR CLIENTS TO MATCH STYLE AND MOOD; WE TEACH EACH INDIVIDUAL WE WORK WITH ABOUT THE RIGHT PRODUCTS FOR THEIR HAIR AND HOW TO PROPERLY USE THEM, ENSURING EVERYONE WHO LEAVES OUR SALON FEELS CONFIDENT WITH THEIR NEW STYLE. Originally from Helena, MT, I moved back to my hometown in 2005 to open Sugar Salon. My education includes The Aveda Institute Minneapolis, as well as advanced education from Vidal Sassoon, San Francisco; Vidal Sassoon, London; Aveda Academy, London; American Crew; Bumble and bumble, NYC, where I completed many classes for razor cutting, coloring, and styling. My favorite thing is to play and spend time with my daughter Vivian. I also love traveling, being outdoors, and running. For hair, I specialize in razor cuts and coloring! Exclusively Bumble and Bumble. continuous training at BbU in NYC. Master stylist. Master colourist with Paul Mitchell. Born and raised in Helena, minus 4 years when I went to cosmetology school at The Aveda Institute Minneapolis. 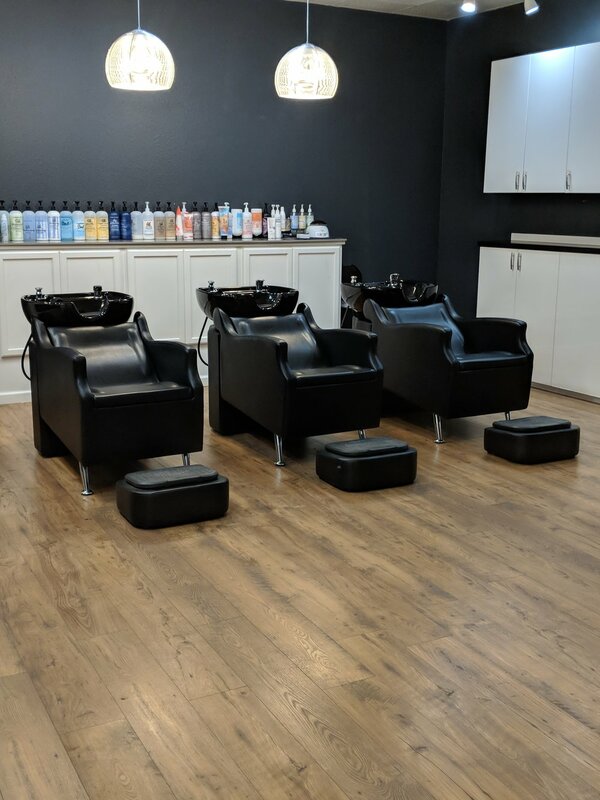 I have had several continued education classes including Bumble and bumble Razor Cut I, Aveda Master Color, and balayage/hand painting classes from some of our industry's elite professionals. I am a member of Cow Tipping Comedy, I've performed in three plays at Grandstreet Theatre, and I'm currently enrolled in adult tap dancing classes. I do pottery, watercolor, and some abstract art at home. I also play soccer and softball! For hair, some of my favorite things include doing updos, braids, and fashion colors! I am a seasoned stylist with over 20 years of experience and advanced training. 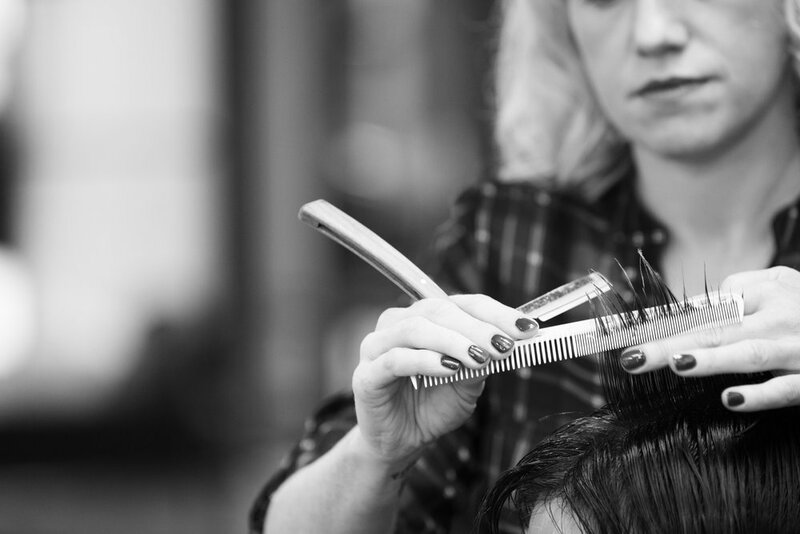 Hailing from the Seattle area, my career has allowed me to apprentice and train in some of the most influential salons in the Pacific Northwest. My inspiration for hair fashion evolves from a variety of artistic mediums, including photography, and painting. My foundation in art allows me to confidently translate my clients vision for their hair, with creativity and functionality. I am creatively influenced by trends but believe the foundation for a great haircut begins with a firm understanding of classic techniques. I specialize in luxury bespoke blonding services, balayage and color correction. Business of Balayage Essentials, Business of Balayage Advanced, NICKEDUCATION Bootcamp Basics with Nick Berardi. Can quote the entire “Mean Girls” movie. I've been a stylist for over 14 years specializing in Great Lengths hair extensions, eyelash extensions, color, highlights, balayage, ombré, haircuts, waxing and updos. If you're in need, Book an appointment today; I would love to meet you!